You are here: Home / Procurement / VIDEO: Buying a prize for a raffle? Consider Woot! VIDEO: Buying a prize for a raffle? Consider Woot! This company has a clever business model, fun website, and GREAT deals. As I reviewed the site, I saw many prize ideas for a raffle and included suggestions in the video. 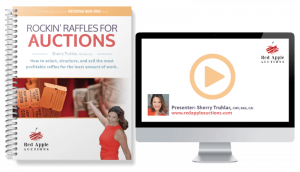 If you need to buy a raffle prize because your procurement efforts haven’t yielded the perfect prize, this could be a useful website. For more advanced raffle help, here’s your resource.